Woo, so basically, because my work allows me to travel wherever, I do. 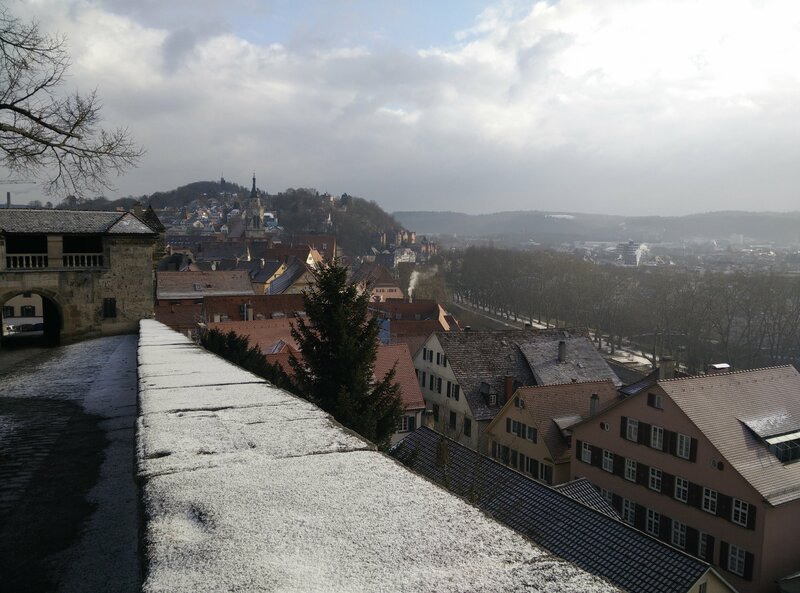 In February, I went to Germany, mainly because Fabian told me he wanted to show me Tübingen before he moves away in about April. 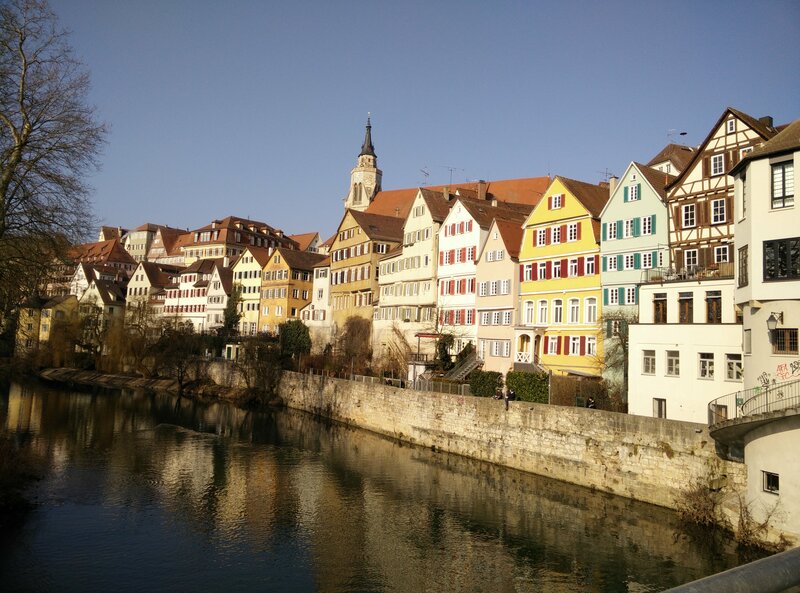 I bought plane tickets, one LHR–STR, and one TXL–LHR. I’d make the STR–TXL journey overland. I arrived at Stuttgart airport. 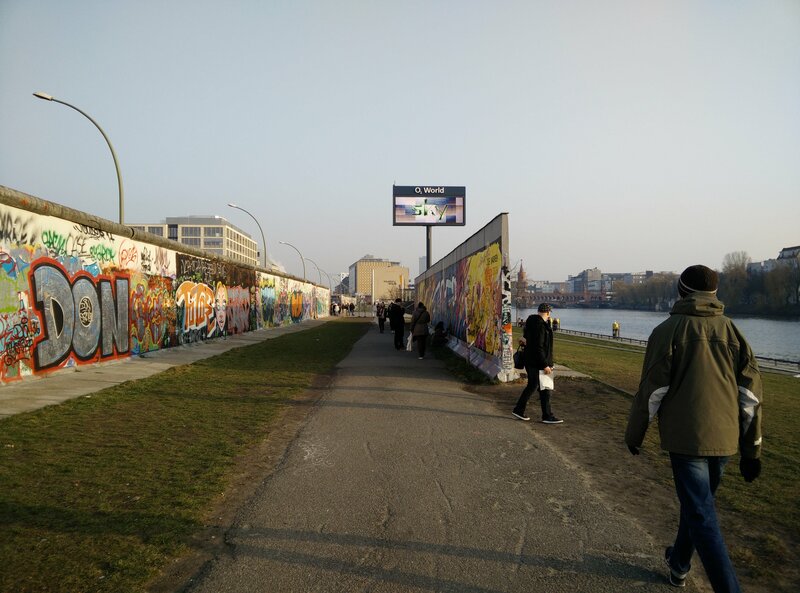 Border agency asked me whether I have a connecting flight (possibly because my outbound is from Berlin), and I assured him that I’m taking the train to get there. Found the 828 bus that would take me from the airport to Tübingen Hbf (hauptbahnhof, main train station), where Fabian would pick me up. Here comes the first challenge: because I travel with no liquids on me (I’m not willing to subject myself to extra screening because of transparent plastic bags of 20cm x 20cm and max liquid ammounts of 100ml), AND I had my contact lenses in, I assumed I could just buy the contact lens fluid when I arrive. Due to German laws however, everything was shut at 9pm. FML... Sleeping in them then, I’ll get some the next day. Which was a Sunday. When everything is closed, except for the usual hospitality things. And one pharmacy for urgent cases, which was, predictably, on the totally opposite side of the city. Got a 50ml one however, so that’s nice. We generally spent the day in cafés, walking around, working, meeting Fabian’s friend, cooking spaghetti with meatballs and cinnabuns, and lots of awesome. I like that city. 10/10 would visit again. City Hall. Obviously it’s under construction. Okay, this last pic is amazing. Germany has a few different versions of this, but basically, it’s like the card terminals, except for cash. 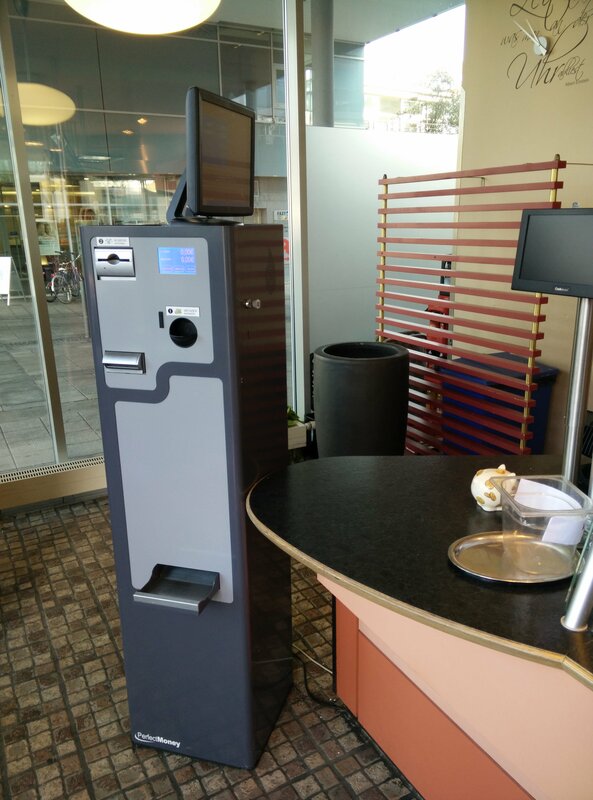 You place the order, they punch it into their terminal, send it to this machine, you see the ammount on the little screen on the right, and feed the machine notes / coins, and you get the change back. The reason behind is that if the people behind the counter don’t have to handle cash, that speeds up service, cuts down on contamination (cash is dirty, y0), and you don’t have to pass tiny coins over foodstuff. Accidentally dropping stuff on food is a Bad ThingTM. 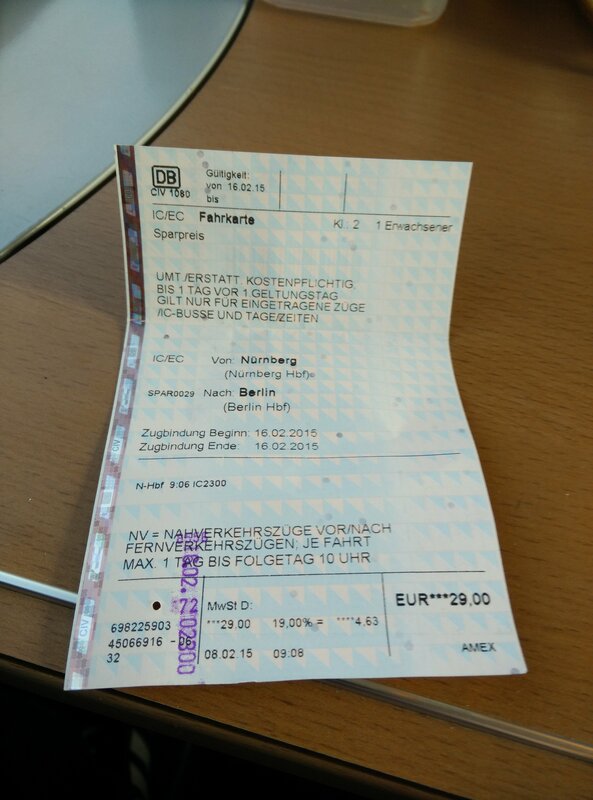 I hopped on a train on 12th, and in about 2,5 hours I was in Nürnberg. Bought the tickets ahead of time from touchscreen machines. They give you 1 (one) itinerary, telling you when you leave, which platform you leave from, when you arrive, what’s the ID of the train, and if you need to change, it lists you ALL of those. 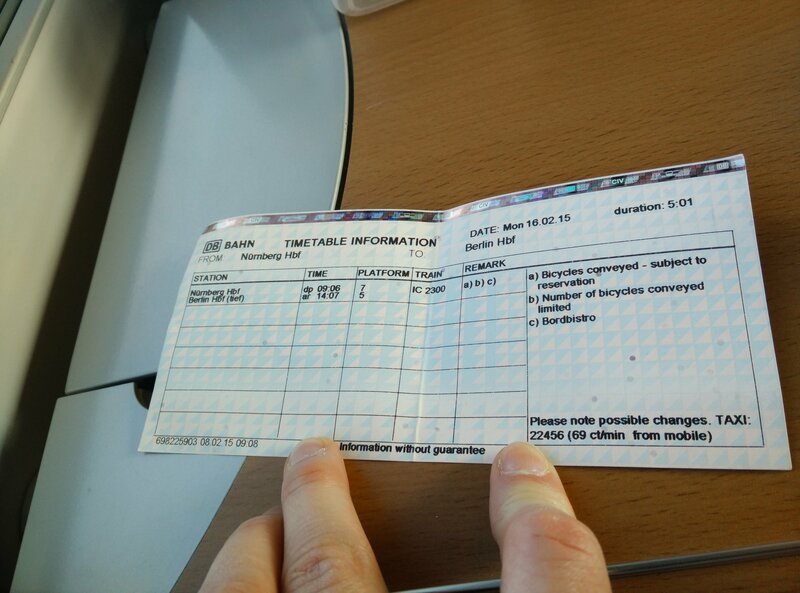 This is what one of these looks like (this one is from Nürnberg to Berlin). 1 (one) ticket itself. It’s just a regular ticket. And 1 (one) proof of payment. I paid by card, so there’s that. It’s actually common in the UK, so I’m not giving you pix of that. The train banked a LOT in the corners. It didn’t go fast enough to feel as if it was level. There’s also no wifi on the trains. Got some reading done. The Circle is an amazingly depressing utopian / dystopian book. Arriving in Nürnberg, I was greeted by friends I’ve met in Hungary a few years ago through a marketing oriented forum. Not much happened, I arrived, we went out for pizzas, and that was that day. Had chats. And beer. And I did some work. 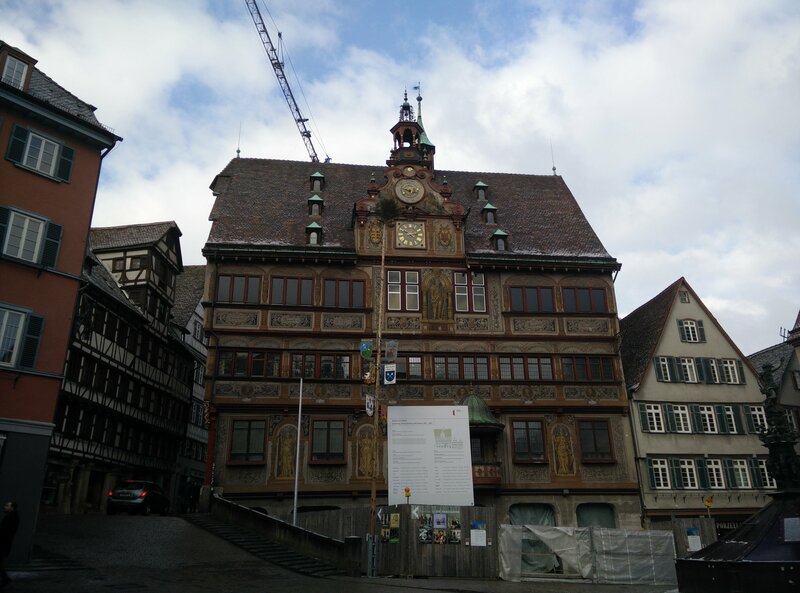 On Friday, I went to a coworking office here. They are super awesome, daily fee is €19, monthly €145 (as of writing this post), and the space is accessible, bang in the middle of the city, and is generally a good place to work. 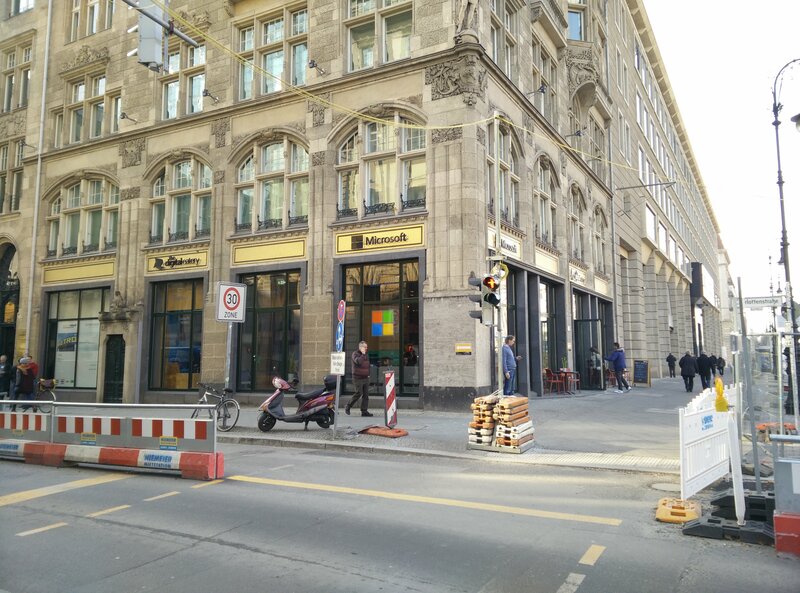 Check them out: http://www.coworking-nuernberg.de/. One downside: there’s no English version. 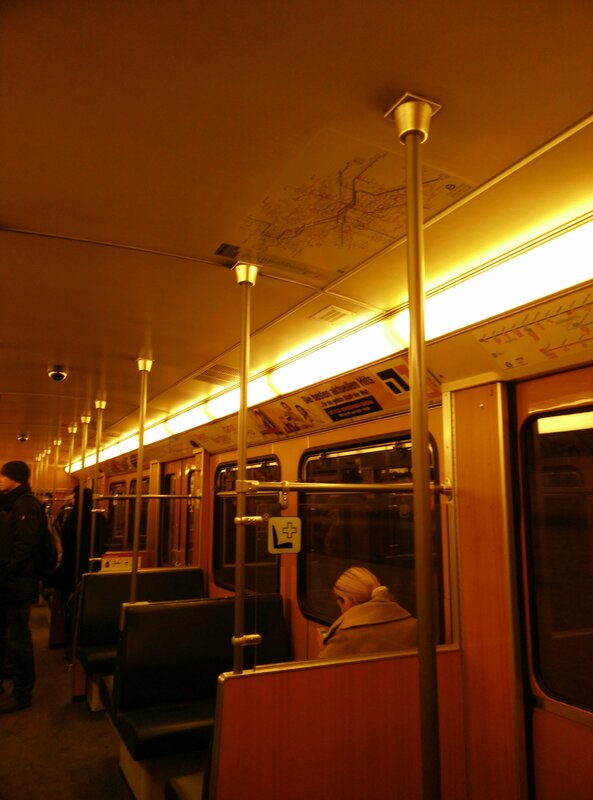 Look up, and notice the metro plan on the ceiling, in case you need to see where you need to go, but can’t see the one above the doors. 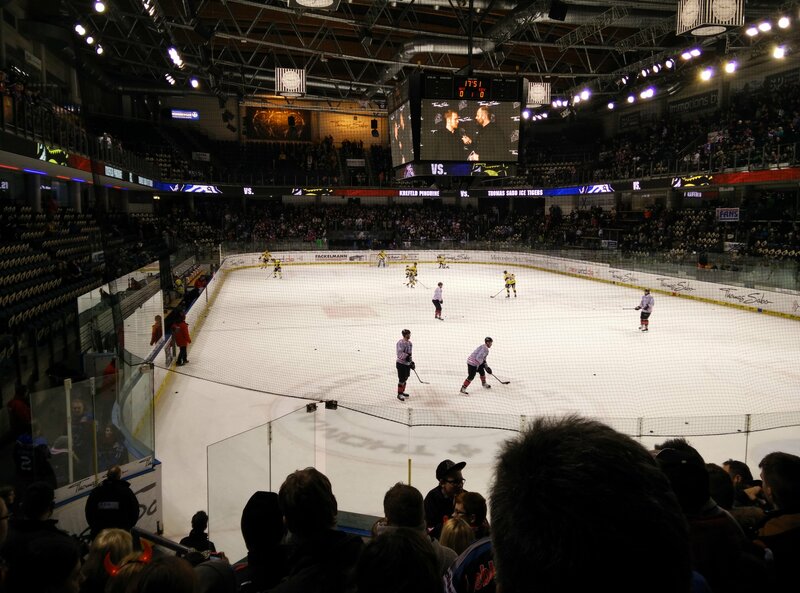 We then went to see an ice hockey game, which was a ton of fun, even though I’m usually not the kind of person who goes to sports events. I’m still not going to make a habit out of it, but this was pretty good. 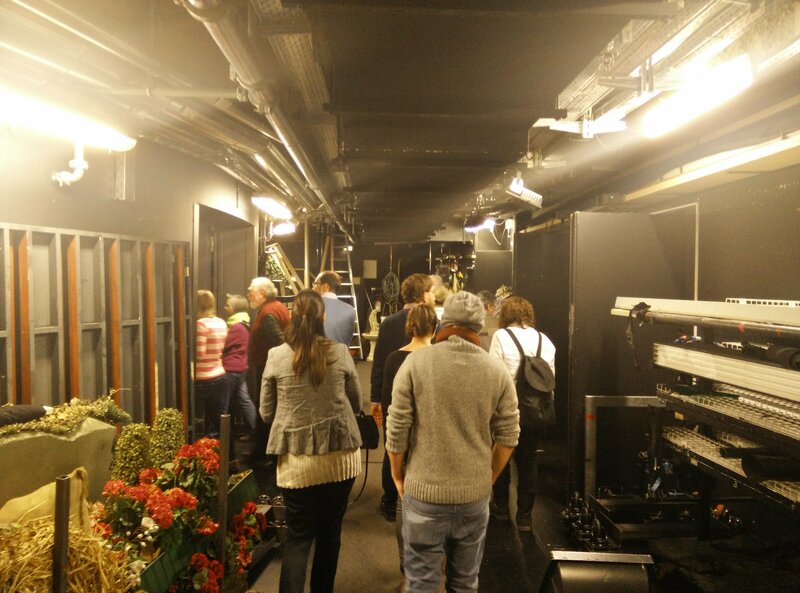 The day after we went to see the backstage of the Schauspiele (theatre). The assistant director (for lack of a better word, the dude second in command of the whole thing) took a bunch of us around and told us what’s happening. We got to see the stagehands actually prepping the stage for a premier. It was incredibly fun. This is under the main stage. A bunch of props are stored. 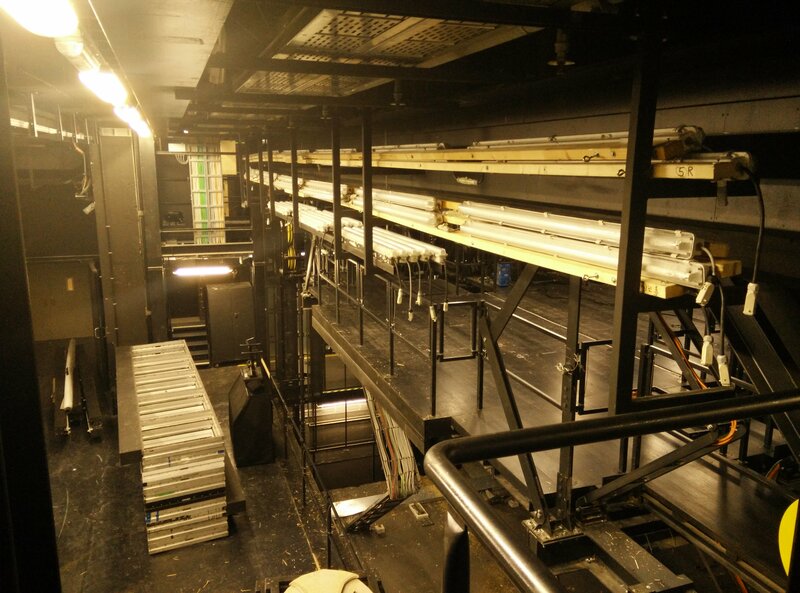 Through the door on the left, we get to see the machinery that can elevate and sink portions of the main stage up to 6m under. The whole thing can also be tilted towards the audience at a max of 10 degrees. Machinery to the right. 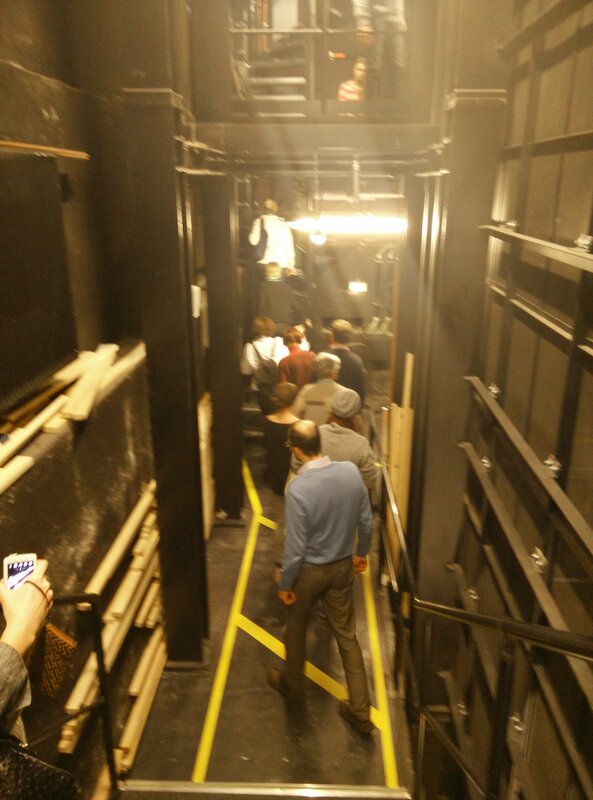 Staircase brings us up to the level just below the actual stage. So this is under the stage. Sections are raised / lowered with steel cables (not pictured, but it’s above me and to the right), just like a lift works. 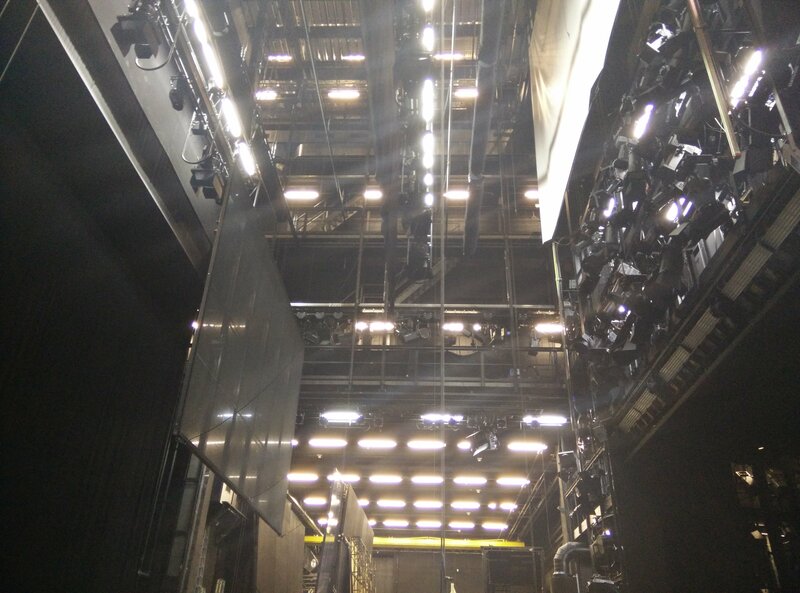 This is standing on the stage, looking up. All of those things can be raised / lowered. There’s a guy on my right (not pictured) with a screen and a joystick that controls the individual elements. 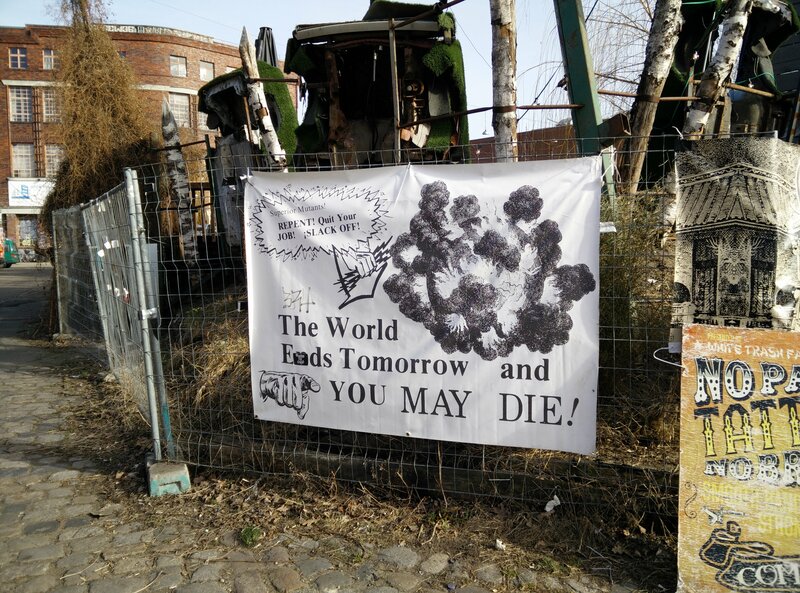 Previously we’ve seen stagehands unrolling a black linen partially spreading hay on to it, and then rolling them back up. There were three of these rolls (imagine rolled up carpets on one steel pipe), and then they fixed the rolls to another pipe above it, and then they raised the whole thing. They’ll open them during the play, when they need hay to fall from the sky. 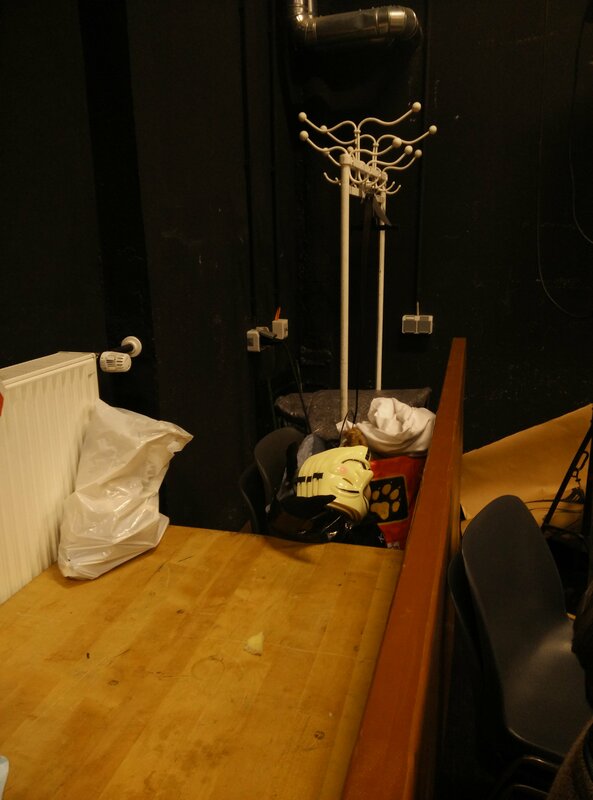 This was in a stage that they use for prototyping plays. They play with methods of delivery, movement, paints, props, acting, dance, everything that happens before a play makes it onto the stage. There were other bits we’ve seen: how they make masks, wigs, the costume room, etc. They have molds of the heads of the permanent team (no kidding, there were plastic heads with names / dates on them), so they can put the fake skin on top of it, and shape it so it’s comfortable to wear, and then they apply fake or donated / bought real hair in strands to it. There was a hairdresser (I think), who was combing and cutting the hair of a wig. I’ve arrived at Berlin hbf on time. Walked to Potsdamerplatz. 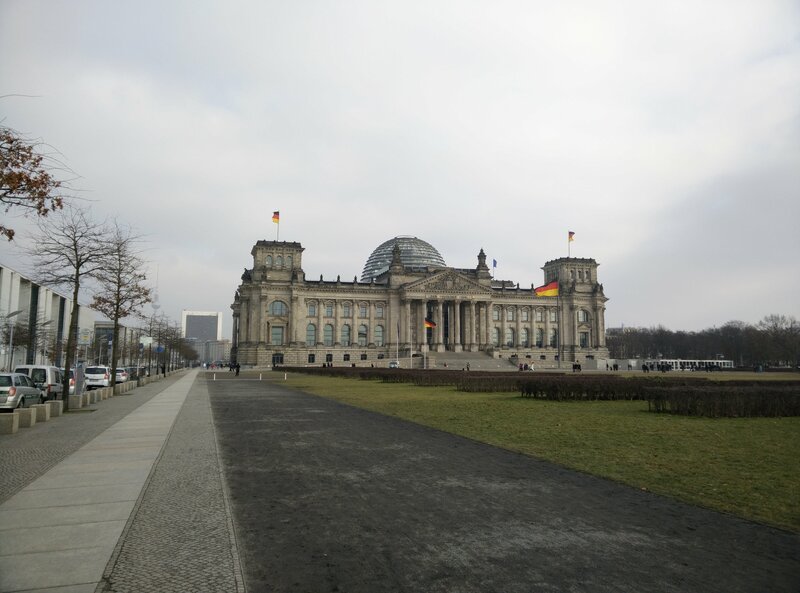 Took me about half an hour, and managed to walk past the building of Reichstag and the Brandenburg Gate (from behind). 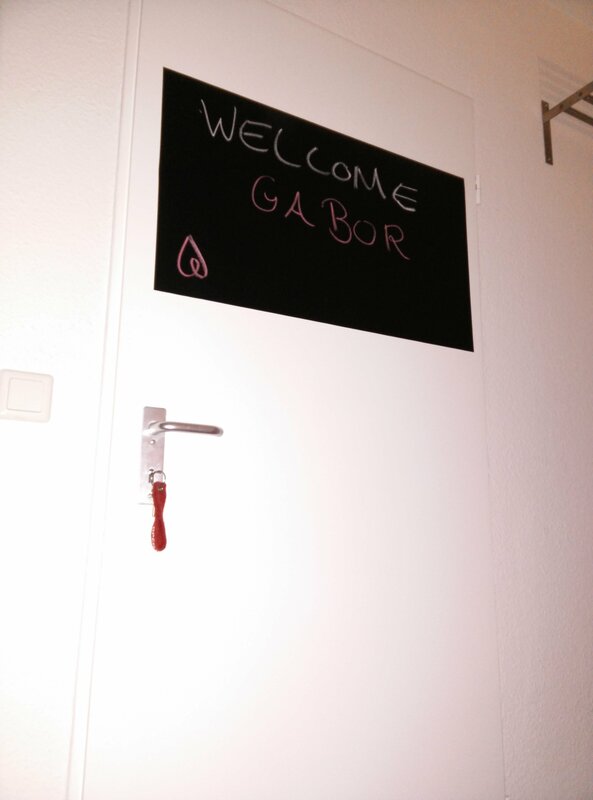 The airbnb place was awesome! They had a chalk board ready with a welcome message on it, and asked me to doodle on it so they can start a running guestbook with guests’ doodles. Pretty brilliant! 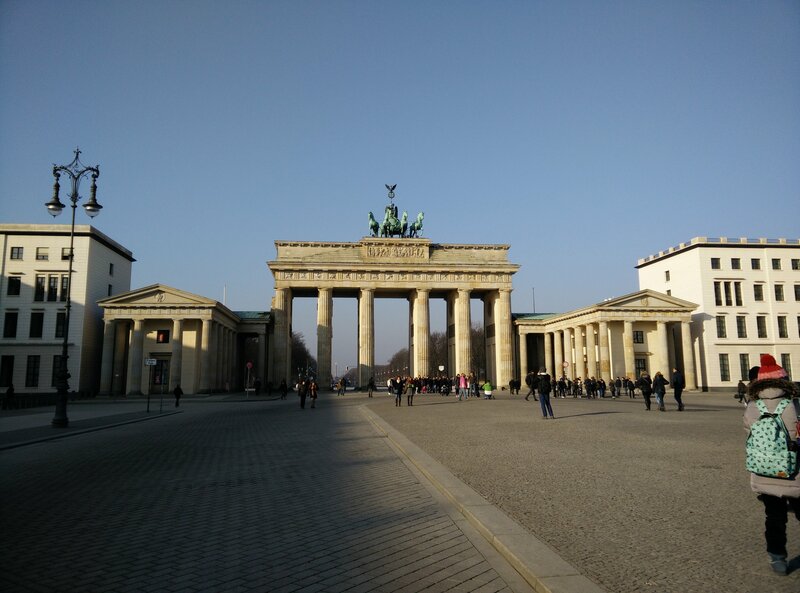 On the way there I walked along Unter den Linden, took a picture of the Brandenburg Gate (this time from the front), and managed to get to Alexanderplatz. I particularly like how the Sky ad is behind it. Oh, and there’s the O2 something to the left. Berlin’s very own O2 Arena (in London). On Wednesday I met a local WordPress person I’ve been chatting to on Facebook for a while. 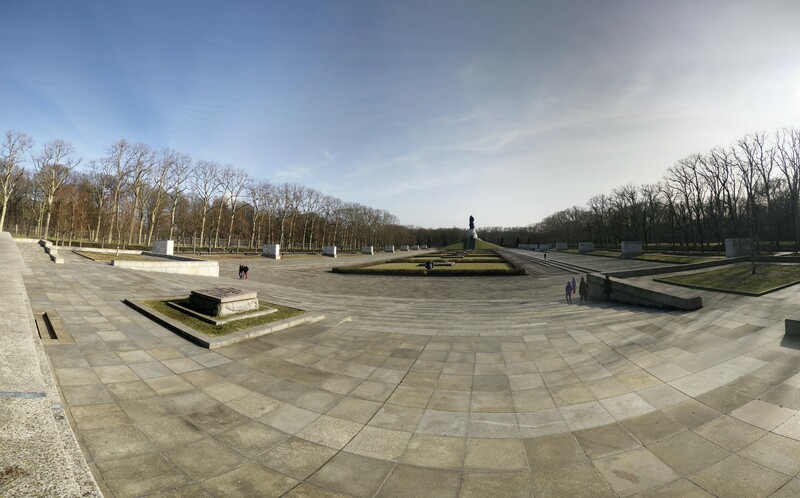 She took me to the more alternative places in Berlin, like the White Trash Fast Food place, and the Soviet monument. I’ve spent the remainder of the day working. Hosts invited me to a pizza place, which was awesome. Both the pizza, and the conversations we had. The day after I left the place at around 12. 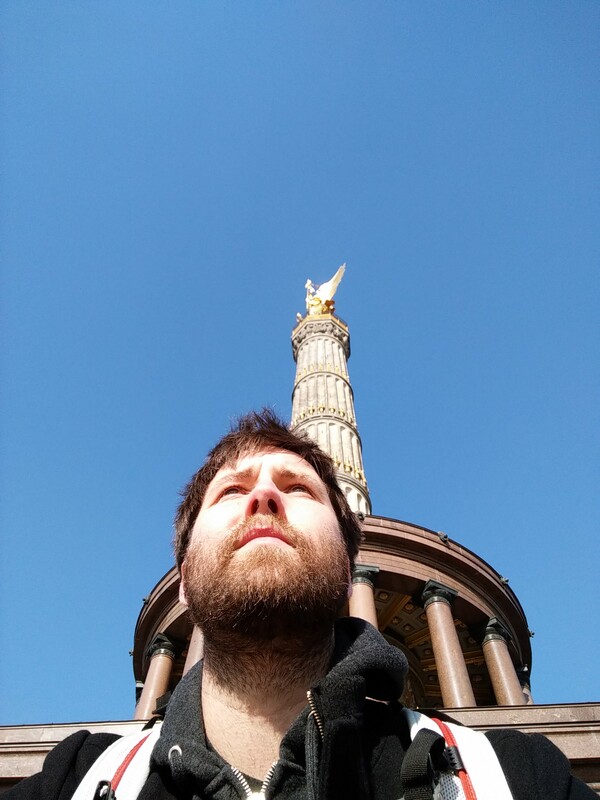 Had an amazing ice cream at Potsdamerplatz, walked to the Victory Column, took a selfie, walked up, down, and then walked north to catch a bus to TXL. TXL is the most confusing airport I’ve ever been. There’s no security before the gates. They are AT the gates. So instead of having one / terminal, they have one / gate. I find that a bit odd and wasteful. "...keep your seatbelts fastened when you’re in your seat, even if we turn the fasten seat belt signs off. This is in the event of hitting unexpected turbulence. The cunning plan is that you and your seat stay in the same part of the plane." Took a video of the landing.